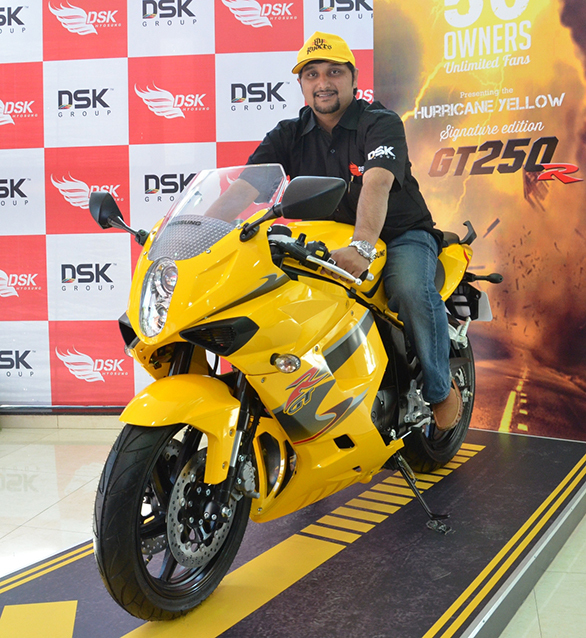 DSK Hyosung has launched it’s limited edition GT250R in India at a price of Rs 2.97 lakh. 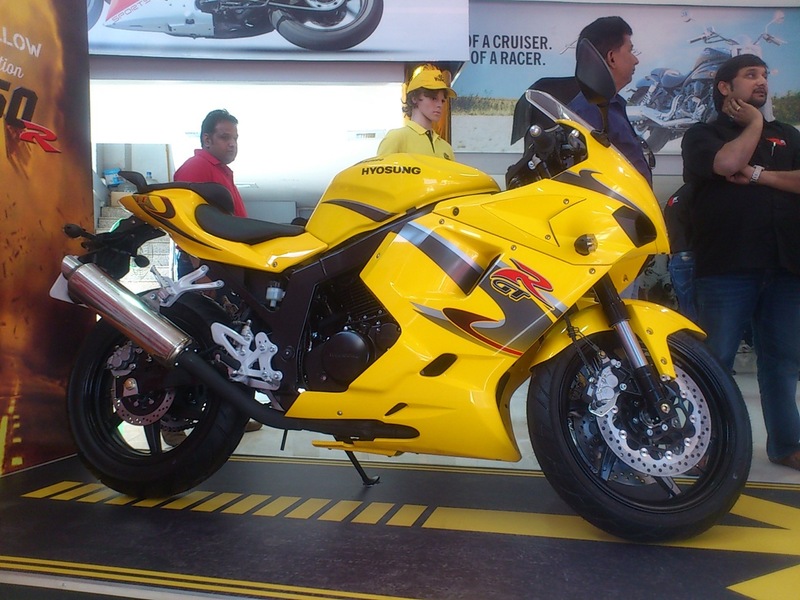 The limited edition GT250R comes with a hurricane yellow paint job, special decals, branded merchandise and signature of the owner embossed on the motorcycle. The GT250R is powered by a 250cc twin-cylinder engine that churns out 27Bhp and 22 Nm of torque. The engine is mated with a six-speed transmission. The GT250R is also available as a regular variant in three dual-tone paint jobs­­­­ – black and red, silver and red as well as white and red. The limited edition GT250R is a celebration of the first anniversary of Hyosung owners club, Hy-Ryders. Hyosung is also looking to unveil two new motorcycles in India next year. The GD250N and the other is the Aquila 250 cruiser, both these bikes will be showcased at the upcoming Auto Expo 2014. Hyosung will also start manufacturing bikes here by 2015-2016.